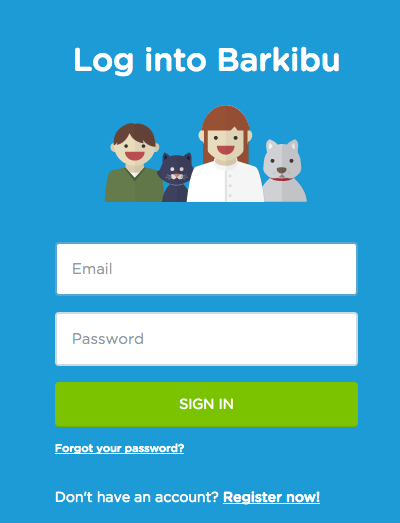 Click "Sign in" button on the left part of the Barkibu webpage. Simply enter your email address and password. Click your name in the upper right part of the page Barkibu.com and access your profile. In case of forgotten password, press "Forgot your password?" in the second step.